There's some good stuff for the arts lovers this weekend, including the Oscars on Sunday night. Here are our picks. 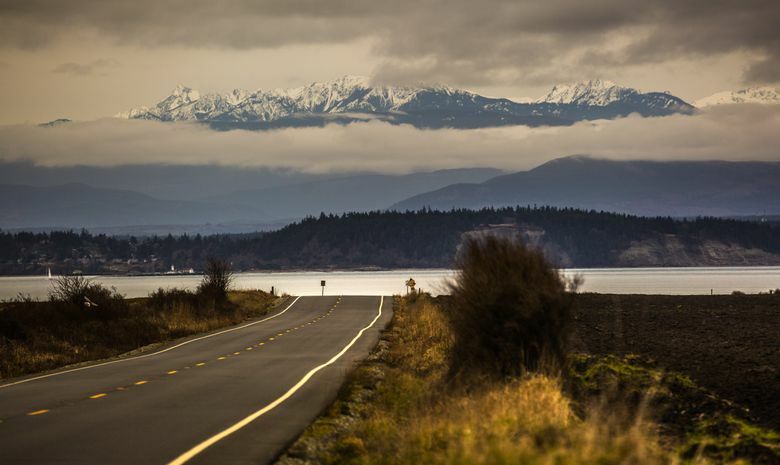 Head to Ebey’s Landing on Whidbey Island for a trek on the Bluff Trail — it’s pretty much all views. From there, you can head to the nearby historic town of Coupeville and enjoy some fresh mussels. Sounds like a nice day trip, no? Another great option: Hiking makes you thirsty, right? We help you out, with the launch of a new series we call “A Hike and a Happy Hour.” This week, read about a snowshoe ramble at Blewett Pass, followed by a stop at the new Blewett Brewing in Leavenworth. See which movies take home a coveted golden statuette this Sunday at the 89th annual Academy Awards, hosted by Jimmy Kimmel. Entertain yourself by playing Oscar bingo. Write your own award acceptance speech, Mad Libs style. Read about a Seattleite heading to the Oscars. Think you know who will win? Here’s what our movie critic predicts. It’s not too late to watch Oscar-nominated films — from the comfort of your own home. No TV? No problem. Head to a (free) viewing party at Central Cinema or Rhein Haus. 3. Catch some good theater — Seattle is brimming with it. The rom-com “Pajama Game” has a timely message about workers rights; “Three Americans” is a direct response to the Trump administration; “Well” is a meta-theatrical experience that destroys the fourth wall; “Awaiting Oblivion” discusses art, crime and the trans, anti-Nazi activist Claude Cahun. 4. Travel the world through music and dance. The annual FIUTS CulturalFest, which showcases the diversity of the University of Washington’s international student community, is this Saturday. 5. Check out Paul Allen’s art collection. If you were a billionaire, what kind of art would you buy? See a little of Paul G. Allen’s family collection of historically important landscapes at Seattle Art Museum, including works by Claude Monet, David Hockney and a little-known forest scene by Gustav Klimt.